What is the difference between a ketogenic diet and a low-carb diet? Home » Keto Diet Starter Guides » Ketogenic Diet v Low-Carb Diet. What’s The Difference? In this post, I will outline the most common types of low-carb diets and explain how they differ in terms of carbohydrate allowance and benefits. The Ketogenic Diet is the most low-carb of these diets. Read on to discover other variations of the diet and which one is best for you. The main difference between a ketogenic diet and a low-carb diet is that a ketogenic diet has the lowest carbohydrate allowance. It is the original form of the ketogenic diet and is also the most restrictive. It is a high-fat, low-carb and moderate protein diet. The diet limits net carbs (total carbohydrates less fiber) to 20g per day. This means that most foods eaten should contain close to zero carbohydrates, to stay within the 20g of net carbs. This form of the diet is typically used for weight-loss and to control seizures in children with drug resistant epilepsy. It is quite difficult to follow over a long period, purely because it is so restrictive. Having said that, it is very effective for weight loss. Many people move to one of the modified versions of the ketogenic diet (below) once they have achieved their goal weight. Women may find that they need to increase carbohydrates once or twice per week to maintain their hormone levels. This is sometimes called a “carb re-feed” or “carb up”. Add up to 30g of net carbs to the evening meal once or twice per week. Men can also include a carb re-feed once per week. Many athletes use the Ketogenic Diet to enhance performance. If you’d like to know more, see this post by Patricia Daly. The Modified Ketogenic Diet is also known as a Modified Atkins Diet. It is what people usually mean when they talk about a “low-carb” diet. This is the less restrictive version of the ketogenic diet where the carbohydrate allowance is slightly relaxed to 40-60g net carbs per day. 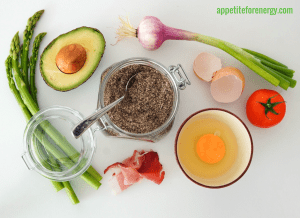 A Modified Ketogenic Diet is the natural progression for someone who has lost weight and is looking to maintain their weight, while keeping all the benefits of low-carb eating. These benefits include blood glucose control, appetite suppression, mental performance enhancement, weight control and lower inflammation etc. People also like to continue to eat low-carb so that they stay fat-adapted. This means that their body is able to switch between burning fat and glucose for fuel. Over the long-term, this is a more practical diet to follow. On this diet, a person would generally be in nutritional ketosis* (burning fat instead of glucose) but may fluctuate in and out depending on the individual. You don’t necessarily need to be in continual ketosis to enjoy the benefits described above. *Nutritional ketosis is where ketones are between 0.5 and 3.0mmol/L. 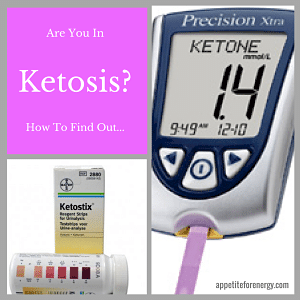 To learn about how to test for ketosis, see our post on 3 way to test for ketosis. A Supplemented Ketogenic Diet is similar to the Low-Carb or Modified Atkins Diet with the addition of MCT oil (medium chain triglycerides). The purpose of supplementing the diet with MCT oil (or exogenous ketones) is that more carbohydrate and protein can be consumed while staying in ketosis. The net carbohydrate allowance is 40-60g. 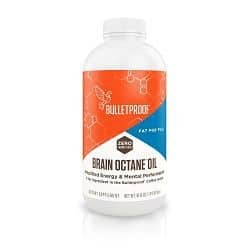 The addition of the MCT oil should ensure that you stay constantly in ketosis while enjoying a few more carbs. MCT oil or MCT oil powder should be taken with each meal. Start with 1 tsp MCT oil per meal (3 tsp per day) and work up to a total of 2 tbsp per day. Be cautious though as MCT oil takes a bit of getting used to and can cause digestive distress and diarrhea if too much is taken. Introduce it slowly as the body’s tolerance increases. The MCT oil powder tends to be gentler on the stomach. For some ideas on how to incorporate MCT oils into your diet, see our post on 10 Low-Carb Pantry Essentials. Exogenous ketones are ketones that come in powdered form. The easiest way to take them is to mix with water, coffee, almond milk etc and drink. They are quite powerful and will put your body into ketosis quite quickly, often within 10 minutes. They can be useful when transitioning to a ketogenic diet as they provide the body with ketones for fuel before they are produced naturally. It can help minimize keto flu while the body and brain is going through carbohydrate withdrawal. The only downside is that they are expensive. 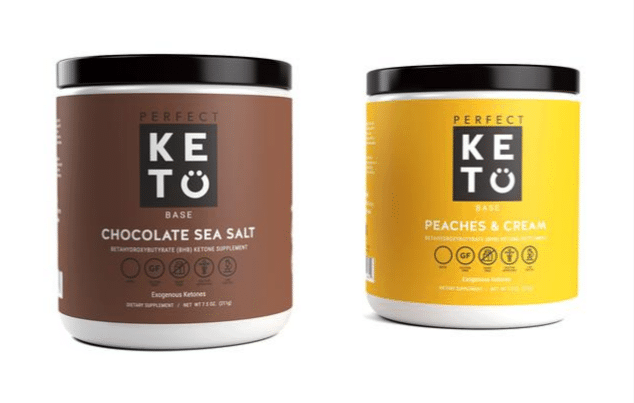 I find it useful to have exogenous ketones such as Perfect Keto Base (in chocolate!) on hand and use occasionally in the morning after having a carb heavy meal the night before. It gets you back on track and into ketosis quickly without the carb cravings. As with a Classic Ketogenic Diet, women may find that they need to increase carbohydrates once or twice per week to maintain their hormone levels. This is called a “carb re-feed” or “carb up”. Add up to 30g of net carbs to the evening meal once or twice per week. Men can also include a carb re-feed once per week. As you have seen, the key difference between the ketogenic diet and a low-carb diet is the amount of carbohydrates that are allowed. Another variation is the Intermittent Fasting Low-Carb Diet. This diet involves eating a low-carb diet of 40-100g net carbs per day combined with Intermittent Fasting (or Fat Fasting). When eating this way, the body will go in and out of ketosis in any 24 hour period. Typically you’ll be in ketosis in the morning and come out of ketosis after the evening meal. Start your day with Intermittent Fasting or Fat Fasting. This means not eating breakfast or food, only drinking butter coffee or tea until around 2pm. The eating window is 8 hours say from 2pm – 10pm. You can use any 8 hour window that suits your schedule, but this timing is quite common. Eat lunch and dinner within these hours so that you get a 16 hour fast. I find it very difficult to have nothing at all during the fast so I drink butter coffee or bulletproof coffee in the morning. This keeps me satiated till 2pm or later. Drinking butter coffee or tea in the morning without food is known as Fat Fasting or Bulletproof Intermittent Fasting. As only fats are consumed (not carbs and protein), you don’t feel hungry. You get to experience mild levels of ketosis during the day and then eat a low-carb late lunch followed by a carb re-feed at dinner. This could include up to 80g of net carbs. Having the carbs in the evening helps with sleep as it provides the brain with fuel. You will come out of ketosis after the evening meal and then return to ketosis the next morning. Everyone responds in different ways so you will need to experiment with carb levels and work out how much you can have and still get back into ketosis the next morning. (Assuming that is your goal). This version allows an even higher carbohydrate allowance while still being in ketosis some of the time. To learn how to start intermittent fasting, see this post : Step-By-Step Adaptation Guide To Intermittent Fasting. The Cyclical Ketogenic Diet involves 5-6 days on the Classic Ketogenic Diet followed by 1 or 2 days of high carbohydrate eating. The purpose of this diet is to maximize muscle growth and training performance. The carbohydrate consumption days allow muscle glycogen stores to be replenished. Therefore it is suitable for athletes who train intensively. The glycogen stores need to be fully depleted each week for this diet to work. I have never tried this but if you are interested to learn more, click here. Description The original high-fat, low-carb, moderate protein diet. Most restrictive of the low-carb diets and most difficult to follow. As per the Classic Keto Diet but more carbs (and protein), less fat, As per the Classic Keto Diet but more carbs (and protein), less fat and supplementing with MCT oil. As per the Classic Keto Diet but adding intermittent fasting or fat fasting & more carbs and protein 5-6 days of the Classic Keto Diet followed by 1 or 2 days of high carbohydrate eating. Protein per day 10% of diet by calories 20-25% of diet by calories 20-25% of diet by calories 20-25% of diet by calories Varies. Modifications Women may need to “re-feed”³ carbs a couple of times per week and men once per week. Women may need to “re-feed”3 carbs a couple of times per week and men once per week. Women may need to “re-feed”3 carbs a couple of times per week and men once per week. The Classic Ketogenic Diet is not recommended for children (except those with drug resistant epilepsy under medical supervison), teens or people in their 20’s with good insulin sensitivity in general. This is a guide only. Individuals would need to test their ketone levels to ensure they are achieving ketosis on any given level of carbs/protein. Other factors such as exercise intensity levels will also play a role. Nutritional ketosis is defined as ketone levels between 0.5 and 3.0 mmol/L. Note that individual results will vary especially for weight loss, blood glucose control. They will depend on other factors such as calories consumed and exercise level. 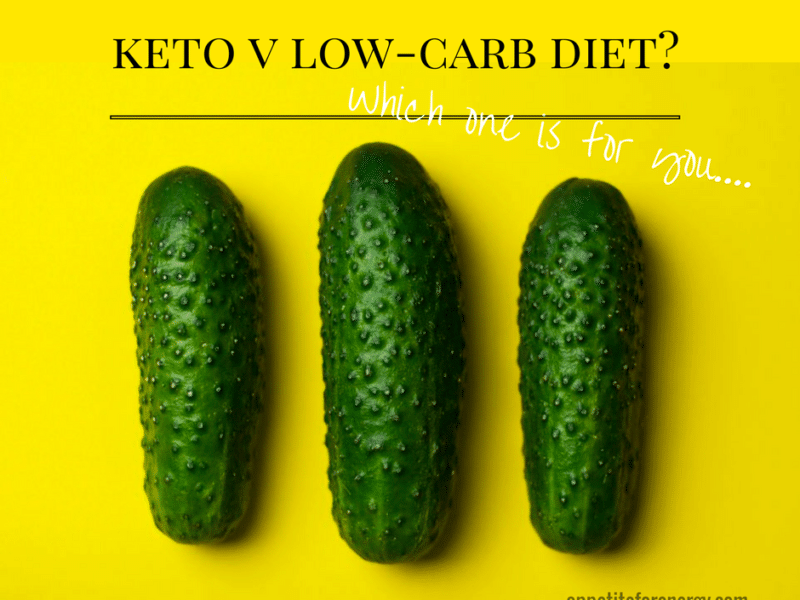 I hope this post helped to explain the difference between a ketogenic diet and a low-carb diet. If you have any questions or thoughts, please leave a comment below. We’d love to hear about your experience with the different versions of the ketogenic diet. Thanks for the feedback and I’m glad you found it helpful!